Where My Passion Was Born. I was the daughter who was never allowed to cut or do anything to her hair or eyebrows, or even leg hairs at that. In sophmore year of high school I was finally allowed to add some low-lights and highlights; barely noticeable. My parents got a divorce and it was on. Hair color changed all the time. But I always remained the girl that wouldn’t let anyone, not even myself touch my hair unless it was by a “professional”. The first and last time I gave in to someone dying, or should I say bleaching my hair, I wound up with a platinum blonde, two inch mohawk in the part of my hair, while I had long black hair with extensions. I needed it to somehow be fixed. I wound up talking to a friend I worked with (now that I was living in the Sacramento area) about who she went to and how I wanted a more high fashion stylist because it was time to move up in the world of beauty and I had always believed you get what you pay for and short-coming yourself on your very own head of hair would be a shame. The difference in quality an expert hair stylist can bring to your physical beauty, as well as confidence, was worth it. 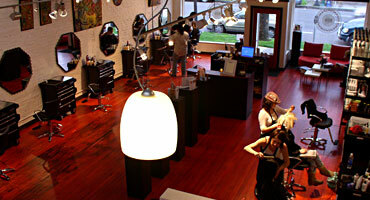 I was referred to Erin Flores at Spanish Fly Hair Garage in downtown Sacramento. A straight up rock’n’roll, red wood floor, white brick walls, post and beam ceiling, metal-chain-framed mirrors, tool boxes for stations, plasma screens, art hanging from suspended cables above stations, and of course guitars, kind-of-salon. 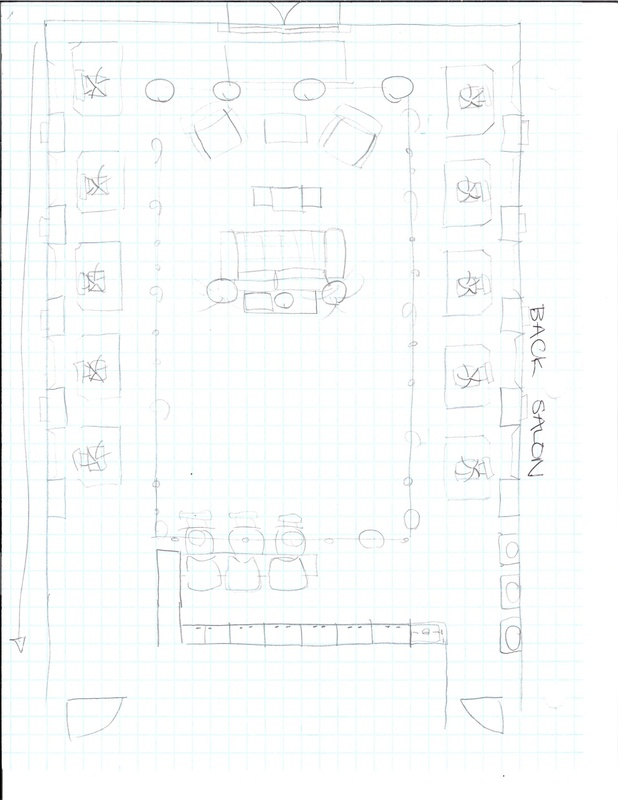 Not to mention amazing natural lighting, a great layout, with a patio corridor and a separate salon in the back, booming sound system, and alcoholic beverages being served. Yup, there was no way this salon wasn’t going to affect me. I wanted to be apart of this. If not this one, one of my own, or better yet a specialist and owner in this industry. 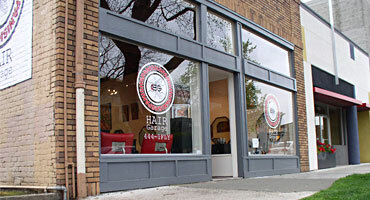 This salon is where my passion for the fascinating influence a pampering environment can bestow upon your being…just by the matter of walls, elements, space plan, imagery, professionalism, characters and aesthetics, and oh yeah…a good hairstyling. You walk in feeling drab, then during you feel apart of something great, and walk out feeling fabulous, new, revitalized. 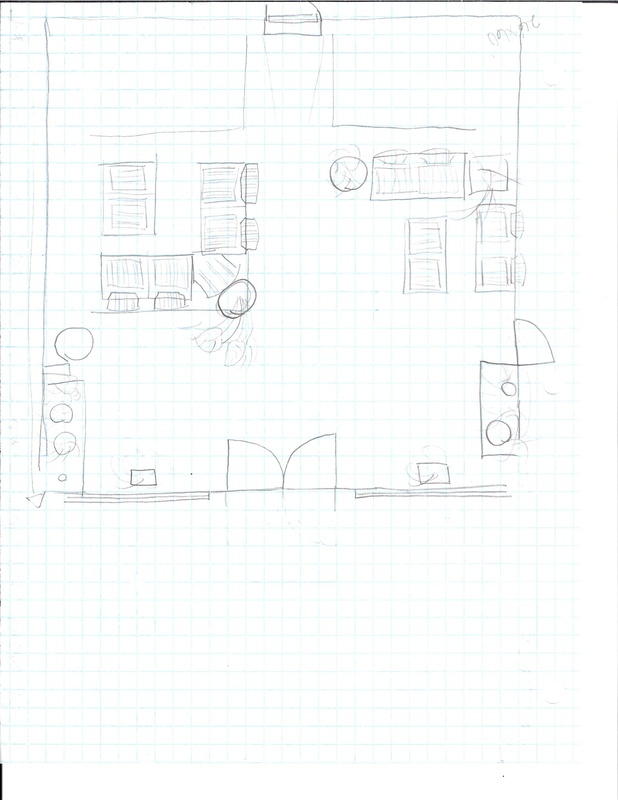 Go easy, I was in the very beginning of my schooling, especially with drafting let alone sketching and scale of things. 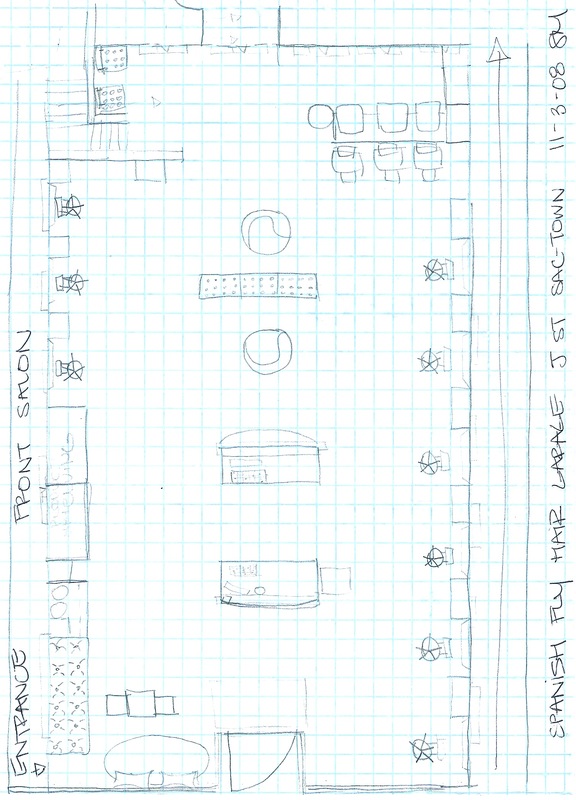 I may redo and label the sketches of the salon and attach them to this post at a later time so it makes more sense to the untrained eye. But, this is where it started, this is where I still go almost 5 years later, and now Erin and I are great friends. Speaking of, we just finished having a drink together which inspired the importance of posting this monumental epitome I had at age 21. I knew if this is what I were to put my mind to, I would have a career I would be happy to wake to everyday and would do anything to make happen. Every day since, I seek my niche and how I can make my plans come to fruition. Day by day, skill by skill, person by network I solidify my dream.